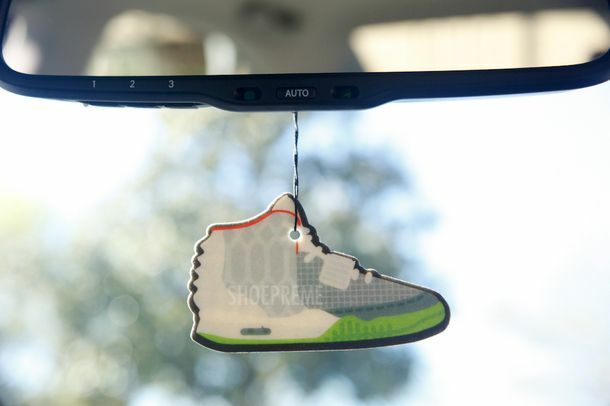 Following their Successful release of the Air Jordan Retro Air Freshener, comes another silhouette inspired by one of 2012’s biggest releases – the Nike Air Yeezy 2. 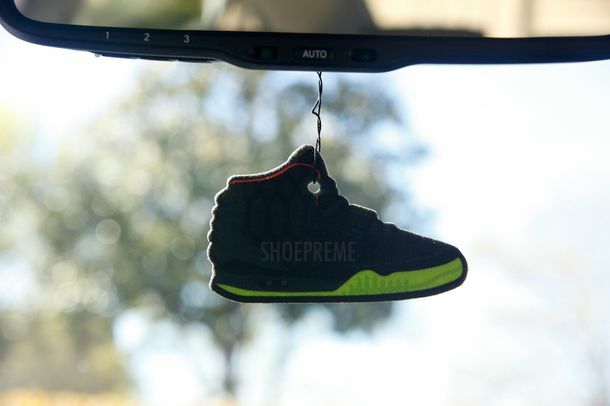 The Air Freshener features several details from the actual silhouette and sports a GITD colored sole, with a Solar Red Liner for that Extra Yeezy effect. 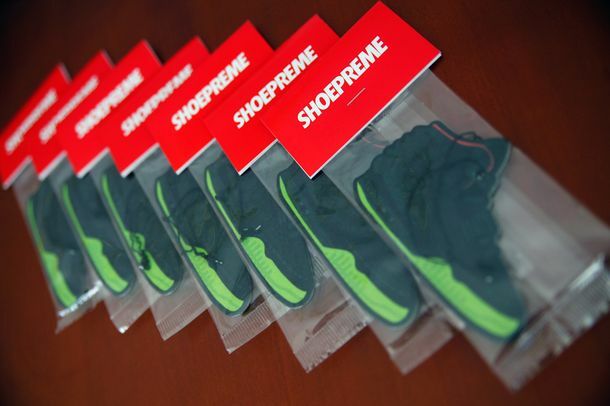 These Joints drop March 1st for 7$ and will be available at the Shoepreme Shop.